This is an all-inclusive sleepover at a stunning resort in a famously sublime section of Mexico’s Yucatan Peninsula, surrounded by the Caribbean Sea and breathtaking landscapes. 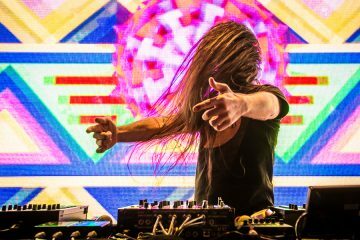 They’ll be setting up a gigantic sound-system right on the beach, and invading the resort for an extended weekend including 3 nights of music, pool parties, exploratory adventures, and late-night throwdowns in customized nightclubs. 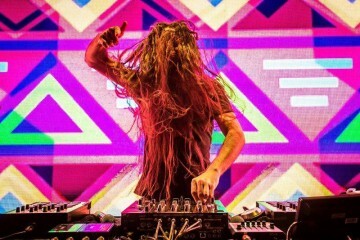 The entire experience has been carefully curated from start to finish by Bassnectar, designing a staggeringly potent blend of old-school roots influences, world famous legends, longtime friends and collaborators, and tons of underground artists for you to discover. Look at this lineup!!! Just like the gorgeous locale, it is a thing of true beauty. 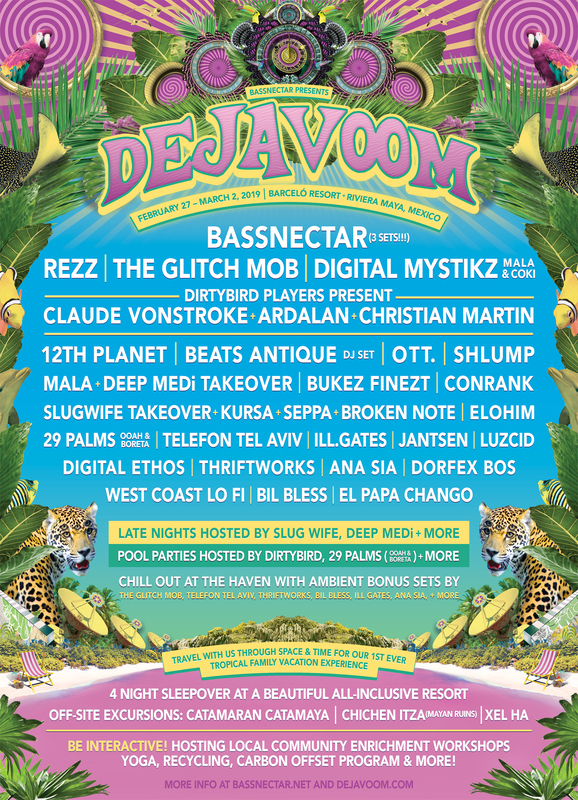 Packages include tickets for all three days of music , all-inclusive accommodations at the Barcelo Hotel (3, 4, or 5 night options available), airport transportation in exclusive shuttles, and some official Deja Voom gifts. Payment plans are available, and if you’d like to stay in the area longer (a fine idea, it is unreal! ), you can add extra nights to your stay at the resort. International destination events like these come with a ton of info and options, so click around for a crystal clear rundown of all the ins and outs and moving pieces.